It's Friday, the day Ladies of the Office descend on shops and markets to take an extra long lunch break, haggling, sweating and shopping their little hearts out. For those of you who work in offices around Chongnonsri, I'm sure you're familiar with Hong Kong Market, Soi Lalaisup, even the street shopping of Silom. 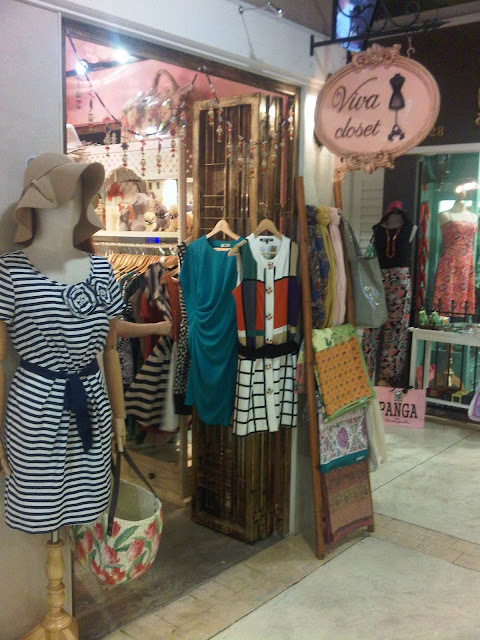 But if you don't feel like competing with the hordes of office ladies then the (somewhat) newly opened City Viva might be a better option to get your Friday shop on. It's very J-Avenue-esque but with branches of some faithful Siam Square shops like Ballet Shoes and Undress (another store for cute/work-friendly shoes). A few food options - if the kuay tiew or sum tum stalls in front of City Viva aren't your style then check out BK Magazine's review. 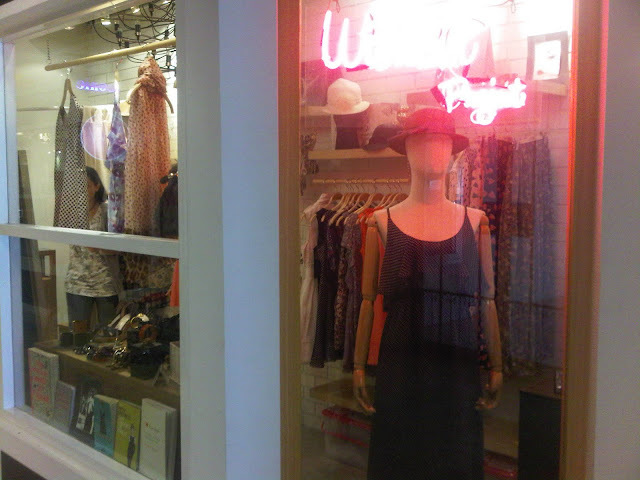 There's a a lot of tiny shops by lesser known Thai designers that are worth checking out if you're in the area. Prices can't compare to the talad, but at least your cubicle-mate won't show up wearing the same 399Baht dress as you on Monday! 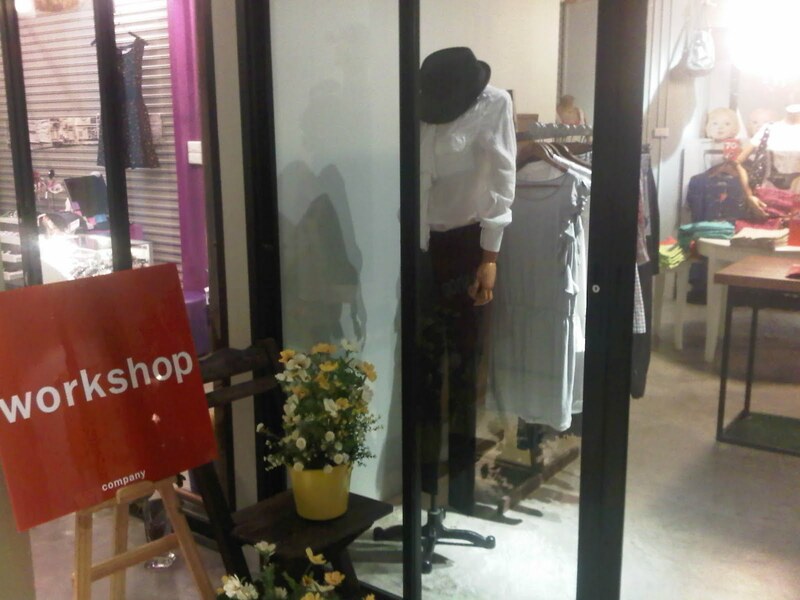 Workshop (2F) - Simple, tailored-style pants with flowy loose and subdued patterned tops. I think I know their target audience, and their sitting around me at the office as I type this. 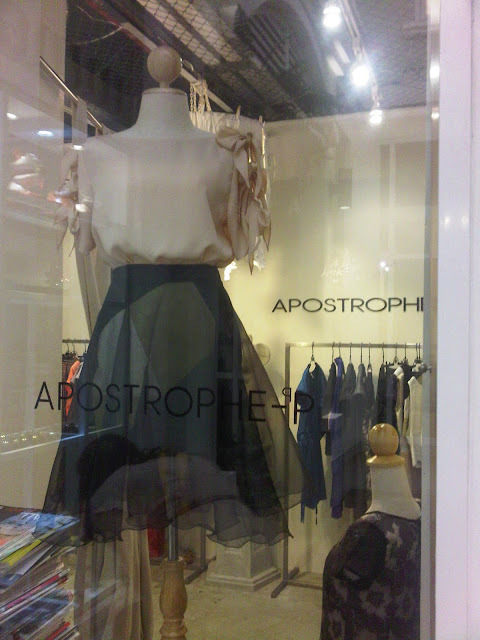 Apostrophe-P (2F) - The store itself is more interesting than the clothes! A few unique structural tops and dresses. 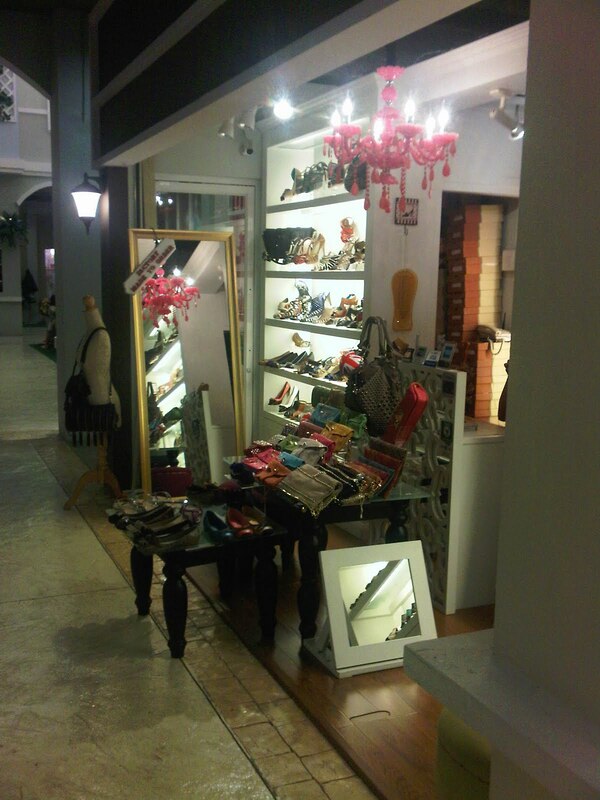 Wishlist (2F) - A mish mash of funky shoes, accessories and dresses. If you can fit into Thai sizes of course. 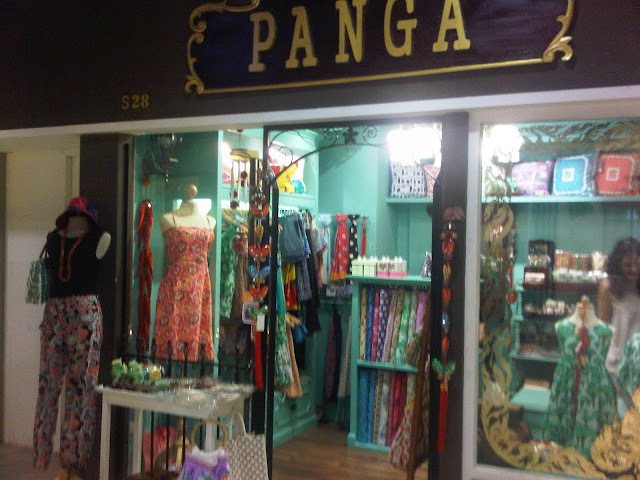 Panga (2F) - Really cool cotton fabric for pillow cases, dresses, what have you. Some ready to wear dresses and kids clothes too. 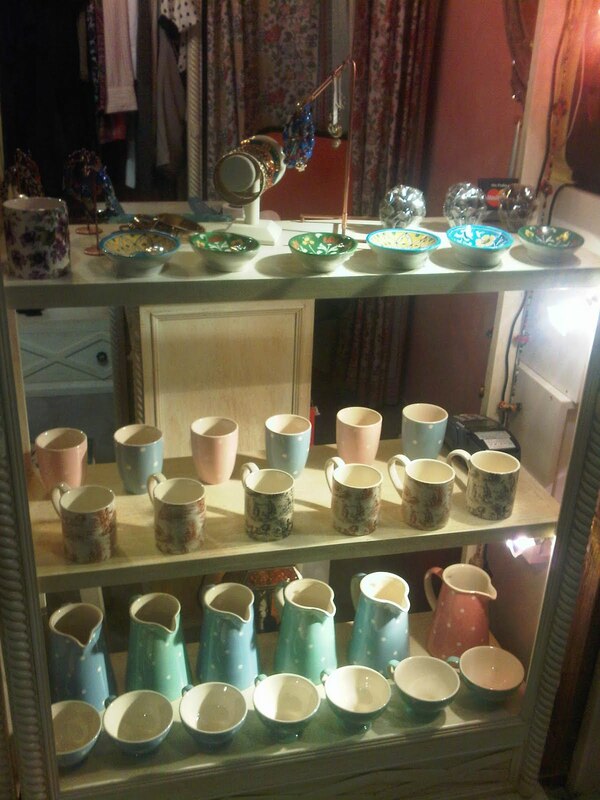 Viva Closet (2F) - Ceramic cups, teapots and pitchers. Handbags, vintage style accessories, dresses and tops but nothing you wouldn't find in Siam. 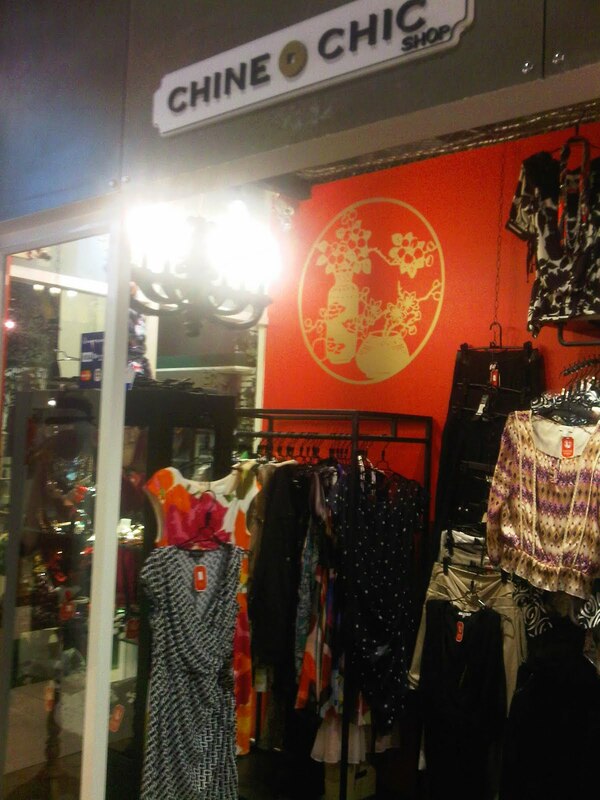 Chine Chic (2F) - "Nothing from Platinum!" the saleslady assures us as soon as our eyes wander to her shop. All imports from Korea, Hong Kong (read: Guangzhou). Some real-ish-looking Marc Jacobs and Roberto Cavalli.